This week on the Farm Table we are exploring the topic of leasing farmland. In our final post, we provide a simple checklist for farm leasing and a round up of some handy tools available to you. This includes assessing the property, doing a site inspection and due diligence. 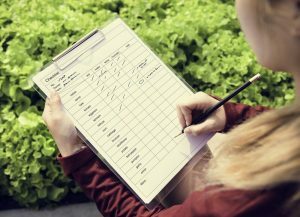 Refer to People in Dairy’s Farm Scorecard for Due Diligence for a handy template to assist in this process. For the landowner: may no long be able to claim primary production tax advantages, may lose access to CGT and small business concessions. For the tenant: lease expenses are fulling tax deductible. 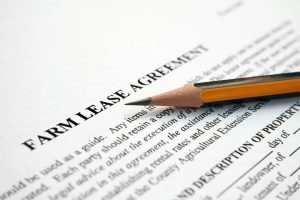 As noted in GRDC’s Leasing and Share Farming Land Fact Sheet, “The faintest ink is better than the fondest memory’: Always document share farming and leasing agreements.” It is advised to always have a written agreement that is discussed, clarified and agreed by both the landholder and tenant. The lease agreement includes details of the land to be leased, identification of the partners to agreement, term of agreements (and options if applicable), rent and rental period, landowner’s obligations, tenant obligations, conflict resolution process, any special conditions, property access, land stewardship expectation, insurance etc. Refer to the GRDC Factsheet for a handy checklist at to AgriFutures for a sample lease agreement. The fact sheet outlines the importance of preparing a budget, ensuring you can access sufficient working capital before entering into a lease agreement, understanding your tax implications, valuing the lease and having a written lease agreement. A useful leasing and share farming checklist provides a guide to understanding the details of the land, timing, financing and legal processes. This RIRDC report helps broadacre farmers make decisions concerning the leasing of land. The paper outlines the financial and environmental benefits of business expansion through leasing for both lessees and lessors. Huge document that covers leasing from start to finish. Includes some case studies, global learning and agreement examples. For this and a whole range of leasing resources, please head over to the Farm Table library.